Rahul Gandhi: We Are Going To Remove Government Of BJP And Modi From Delhi In 2019 Election: Congress President Rahul Gandhi reached Mohali on Monday to launch his newspaper Navjit. Here he is accompanied by former Prime Minister Dr. Manmohan Singh. During this time, while addressing the people, he targeted the BJP very well. He said that every institution of the country was attacked. The Congress and the whole opposition stand against these attacks. He said that we will stop only after the removal of the BJP government in 2019. He said We are going to remove the government of BJP and Modi from Delhi. Rahul Gandhi said that if you see the front page of your newspaper, you know how the newspapers are filled with news like a wedding, crickets. But you rarely read about the situation of farmers and youth here. He said, these halls are not only of national newspapers, but the media has been captured in every state. According to a report, Rahul Gandhi said that the BJP government considers farmers a liability. They think that word like Make in India will work. If the Congress comes to power, the party will be standing with the farmers till harvesting of crops, power, fertilizers, and seeds besides harvesting and getting its price. Rahul Gandhi said that China employs 50 thousand people in 24 hours but the Modi government is giving employment to only 450 youth. 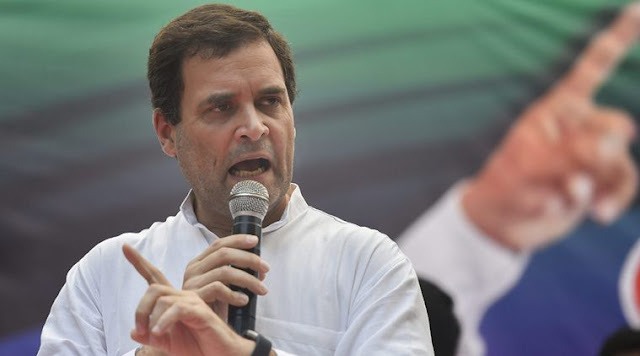 This statement of Rahul Gandhi has come out at a time when considering the next Lok Sabha elections next year, to discuss the main coalition, there will be a meeting of top opposition leaders in Delhi on Monday. This meeting is also important as it is being declared the results of Madhya Pradesh, Chhattisgarh, Rajasthan, Telangana, and Mizoram assembly elections and the day before the winter session of Parliament begins. Congress president Rahul Gandhi and UPA chairperson Sonia Gandhi are also expected to attend the meeting. During the meeting, there is also a hope for a joint strategy for the Winter Session of the Opposition Parliament.